Its been so lovely in Kansas City lately. The mornings are crisp and cool and the afternoons heat up a bit. While the cooler temperatures make me long for my favorite season, fall, the afternoon warmth makes me not quite ready to give up summer and don heavy colors. So this is the perfect palette for that! 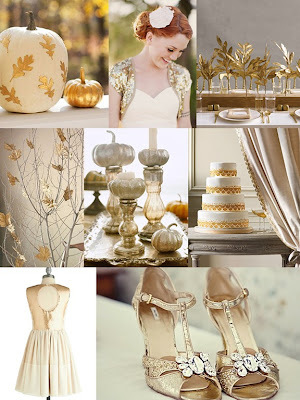 Creams and golds....mmm...so purty!